Acoustic Labs Multitrack Recorder is an easy-to-use multitrack recorder, editor and mixer allowing users to create professional quality audio productions. The capabilities of the Multitrack Recorder are perfect for producing music and a variety of other audio production needs. 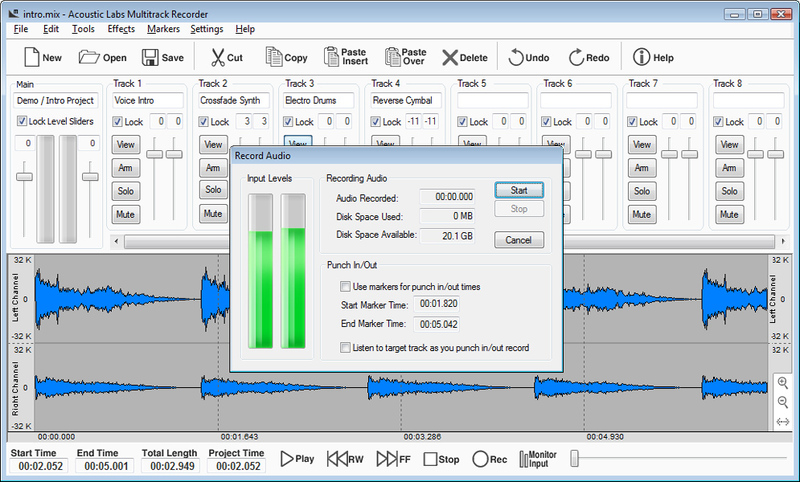 These features are provided to you at a small fraction of the retail price of a stand-alone multitrack recorder and many other multitrack recorder software packages. The Acoustic Labs Multitrack Recorder can als be used as a very versatile, yet easy-to-use, MP3 and wave editor which allows users to easily mix various MP3 and wave files.